All dirty words when it comes to stories. Imaginations should recoil and gasp with horror at the mere mention of them. Nothing starves an imagination faster than an unimaginative story (pun totally intended). Rest assured, the stories in this anthology are far from normal. They are beyond the normal. In fact, since normal is a dirty word, we must say that they are beyond the norm. 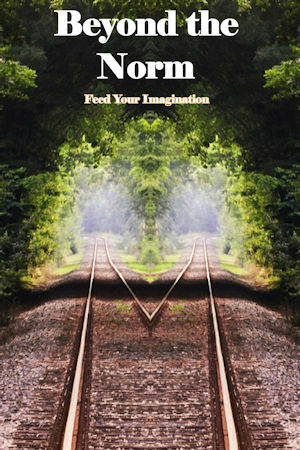 The authors presented in Beyond the Norm have discovered the secret of getting around the barriers that squelch an imagination, the restrictions that cause boredom, and the limits that restrain a reader from becoming completely immersed in a story. The variety of stories contained herein will amaze even the most demanding reader, so you should feel lucky that you’ve happened upon this collection of stories. And the first adventure begins as soon as you open the book. So, go ahead, feed your imagination as you take it beyond the norm. It will thank you for the trip. TENTATIVE RELEASE: APRIL, 2019. Check back often! Born in New Jersey in 1954 (Eisenhower times) Mike moved to Georgia in 1965 (Maddox times) and has sopped up Southern culture ever since. A professional geologist working the environmental consulting rackets by day he chronicles the preposterous through flash fiction, short stories, novellas and a novel by night. 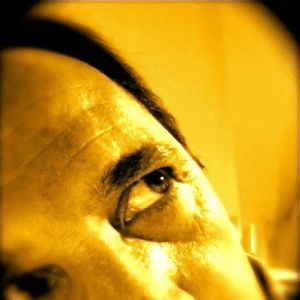 A Pushcart Prize nominee, Mike has 26 published stories and his writing has been recognized in competitions in Canada, Ireland, England, Wales and the USA. A two-time finalist in The New Yorker Cartoon Caption Contest, he boasts nine words there. Mike lives quietly on the North Oconee River near Jefferson, Georgia. Check out his website. See his AMAZON page. Andrew K. Clark is a writer, poet, and photographer whose work has appeared recently in Out of Anonymity – The UCLA Writing Project, Good Juju, and NO:1 journals. Main Street Rag Press will publish Jesus in the Trailer, his poetry collection, in the summer of 2019. He is the recipient of the Georgia Southern University Roy F. Powell Creative Writing Award. Andrew grew up in the small town of Alexander, North Carolina, outside of Asheville. His forthcoming book, The Day Thief, is a novel of magical realism set in 1920s Appalachia. An excerpt of the novel will appear in the February issue of The Blue Mountain Review. Connect with Andrew at andrewkclark.com. 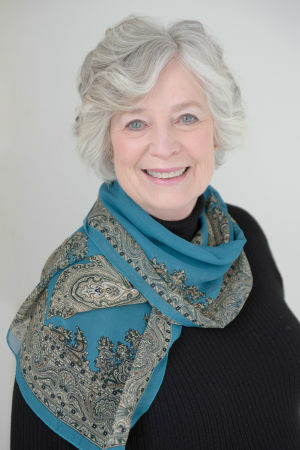 Catharine Leggett’s short stories have appeared in the anthologies The Empty Nest (KY Story), Law & Disorder (Main Street Rag), Best New Writing 2014 (Hopewell), as well as in the journals Room, Event, The New Quarterly, Canadian Author, and The Antigonish Review. Other stories have appeared online in paperbytes, Per Contra, Margin: Exploring Modern Magical Realism (novel excerpt), and broadcast on CBC Radio. A novel, The Way to Go Home (Urban Farmhouse Press), will appear early in 2019. A collection of short stories, In Progress, won the Eludia Award and will be published by Sowilo Press (imprint of Hidden River Publishing) in 2019. This is her fifth story to be published by Scribes Valley. She lives in London, Ontario, Canada. John Francis Istel has worked as an actor, parked cars as a valet, taught as an adjunct at Medgar Evers College and at NYU (where he received an MFA), bartended in Times Square, and raised a family in Brooklyn, where he curates Word Cabaret, a reading series. 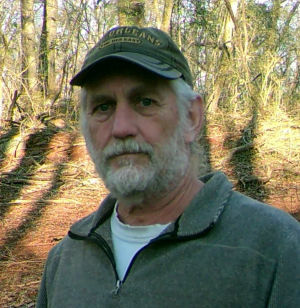 His poetry and fiction have appeared in Belmont Story Review, New Letters, Weave, WordRiot, Linden Avenue, Rappahannock Review, Up the Staircase (Pushcart Prize nominee), Soundings Review and many others. Before becoming a NYC public high school teacher, he worked as a magazine/book editor and wrote about theater for Atlantic, Elle, The Village Voice, and elsewhere. Recently, he completed a short fiction collection, Internal Bleeding and Other Love Stories. Leslie Muzingo grew up in Iowa but relocated to the Deep South years ago. She spends her summers on Prince Edward Island and finds great similarities between PEI and the Iowa of her youth. Her work has been published by Pink Panther Magazine, Ink in Thirds, Two Sisters Writing, Mother's Milk Books, Darkhouse Books, Literary Mama, Iowa State Writer's Guild, among others. She considers herself an emerging writer. Her emergence is a slow one as she has many joys and interests, and there are only so many hours in a day. Leslie can be found on Goodreads, Amazon's Authors, and under the handle of Sootfoot5 on Twitter. Steve Putnam lives in Western Massachusetts, in ancestral shadows of farmers, carpenters, and ice dealers. He has worked as a laborer, G.M. mechanic, framing carpenter. Last gig as a copier tech, he worked in schools, prisons, hospitals, and a scrap yard or two. Putnam also guest starred as copier repairman under the corporate florescence of a large life insurance company. He often paddles marathon canoes, solo or tandem with wife, Cynthia. His novel, “Academy of Reality” and novel in progress excerpt, “School of Agriculture,” both made the finalist list in the 2018 Faulkner-Wisdom Competition in New Orleans. His short fiction pieces have appeared in Whiskey Island Magazine, Carbon Culture Review online, and his non-fiction book, Nature’s Ritalin for the Marathon Mind,was published by Upper Access. Patricia L. Baker, currently a resident of Maryland, lived for 13 years in Arizona and before Arizona lived in New York for over 30 years. Prior to her move to Maryland, most of her writing was academic in nature with a few fictional pieces sprinkled in. 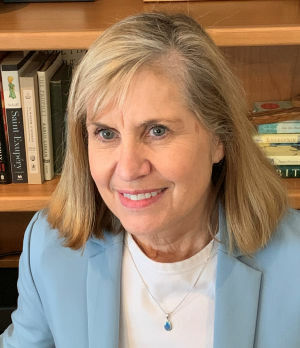 It is her fascination with the saguaro cactus and Sabino Canyon, which she considers to be one of the most beautifully serene places to visit, inspired her to write "The Whisperers." Katelyn Andell has called many places home, from rural Virginia to the Black Forest in Germany. As a middle school special educator, she encourages her students to be creative whenever possible. She finds joy in reading and writing historical fiction, complex family sagas, and twisted psychological thrillers. Euphoria, VA is her first published work of fiction, although she has been writing since she could hold a pencil. Katelyn has one completed novel entitled Photographs from Saint-Lô and hopes to see it in print one day. 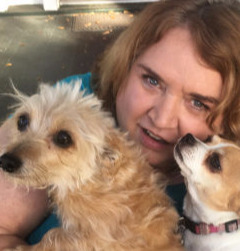 She lives in Wake Forest, North Carolina with her husband, dog, and cat. Colin turned to writing after a teaching life in England and Canada. He has published two novels, "A Case for Dr. Palindrome", and "All That Remains" (recently a finalist in the Tucson Book Festival). 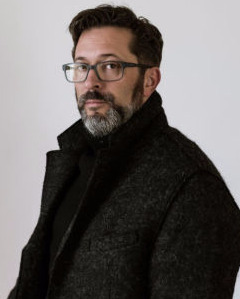 His short fiction includes winners of the J.K. Galbraith Fiction Award, the Literal Latté (New York) fiction contest, Bosque fiction contest (New Mexico), Canadian Authors' Ten Stories High, and a finalist in the Writers Union of Canada fiction contest. 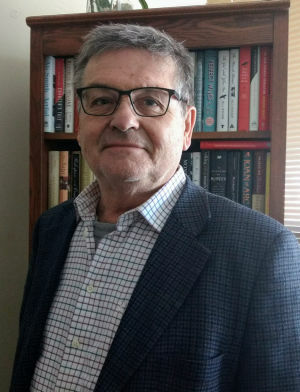 He has published in academic and literary journals and the "Globe and Mail," and he's a regular Column Six contributor to the "Voice of Pelham." colinbrezicki.com. Michelle was born and raised in Spencer, Ohio, (population 800!). She would realize only in adulthood just how unique such an upbringing would be. Through college, she spent her free time bartending and waiting tables. After completing her graduate degree at Cleveland State University, Michelle relocated to Phoenix to teach college-level English and literature courses. Her realistic fiction is inspired by her diverse experiences and the spirited people she has encountered along the way. She takes pride in being introspective and looking for the common humanity we all share, regardless of where we come from – the little things that connect us and have the power to inspire kindness and understanding. "Pictures and Stories and Ghosts" is an ode to her late great aunt and the time spent while living with her for four months in 2017. She hopes the words do her unique and spunky aunt's epic storytelling justice and act as a way to keep her alive - breathing - in a way that only stories can. Michelle is honored to once again be published by Scribes Valley Publishing. Michelle would like to thank her husband for his love and support. 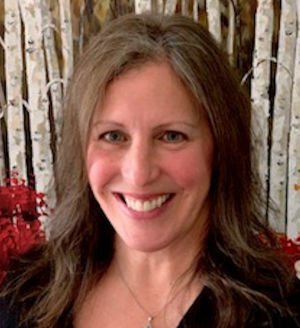 Ronna Lynn Edelstein is a mother, avid reader, active theatregoer, and lifelong learner and teacher. She tries to find meaning and beauty in the world around her—and in those who inhabit it. 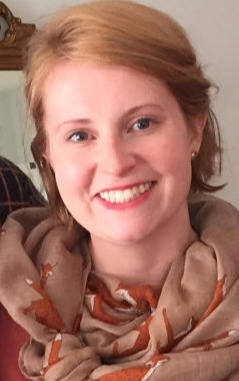 As a part-time faculty member of the University of Pittsburgh’s English Department, Ronna works as a consultant at the school’s Writing Center. She also teaches Freshman Programs, a course that introduces students to the university and the city. 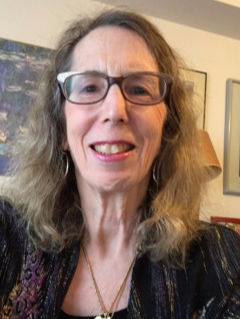 Her work, both fiction and non-fiction, has appeared in the following: Dream Quest One (first place), First Line Anthology, Pulse: Voices from the Heart of Medicine, SLAB: Sound and Literary Artbook, Quality Women’s Fiction, Ghoti Online Literary Magazine, and the Pittsburgh Post-Gazette and Washington Post, among others. Ronna thanks Scribes Valley for publishing "The Malleability of Memory," her eleventh story starring Vera. Virginia Amis is a lawyer and a writer, who spends her days in the courtroom and her nights and weekends writing. A transplant from Pittsburgh to the Pacific Northwest, she writes in that setting, bringing nature and characters to life through her stories. She has written two fiction novels and is working on a third. 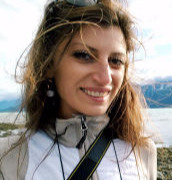 Her short stories have been published in Perspectives Magazine and 101words.com. An avid reader, she will devour most any novel in record time.